For Sophie Newton, the Brainlabs director, the appeal of search marketing lies in the opportunities for creative thinking. "Search changes so quickly and you never feel that you’ve learnt everything," she says. "There are always either new products coming out or new ways and approaches to do things." 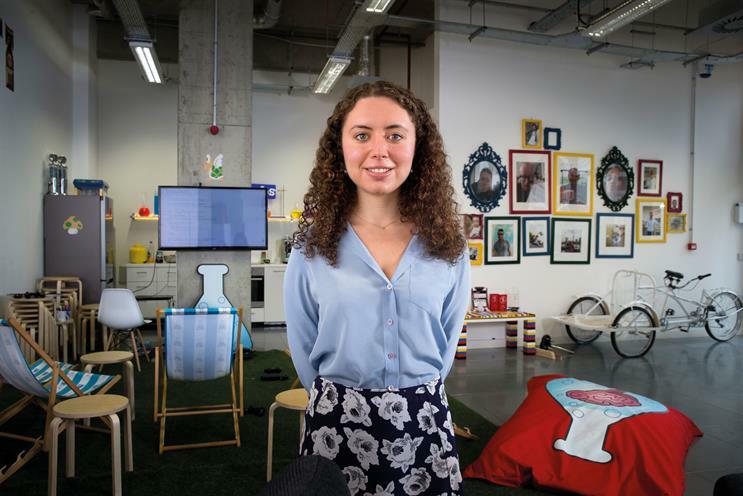 In the two-and-a-half years since she joined Brainlabs, Sophie has seen it grow from a living-room operation to a search marketing powerhouse – and has been a leading force in the company’s meteoric ascent. Like many search marketers, Sophie came to the industry via a roundabout route – but her background made it a natural fit. "After Oxford University, I went into consulting," she says. "Which, if I’m honest, was not the thing I’m most suited to. I was interested in marketing and fashion and event organisation. It required a lot of different skills: being very personable, being organised, thinking of strategies – but what I was missing was the mathematical, data-driven side that I had at Oxford." Sophie’s combination of creative thinking and a background in maths has enabled her to come up with innovative solutions to search problems. For the travel agency client Alpharooms, she created the first-ever bidding platform that can target specific positions in the auction based on data from the previous hour. "Essentially, we’re calling it real-time bidding for search," Sophie says. "It can make 24 bids a day – at least six times more responsive than any third-party tool out there. And it means that, every hour, it can adjust to make sure we’re spending exactly as much as we should be spending." The tool makes calculations based not just on weather and availability – rapidly fluctuating factors that are vital to the travel industry – but also on Alpharooms’ own internal data and competitor rankings. "Within the travel industry, they’re susceptible to changes that, from a pay-per- click marketer’s perspective, you can’t control – competitors, the weather, rates and pricings and availability," Sophie explains. "We make sure that for each individual keyword, we’re getting maximum return across the whole account." "The search marketing industry attracts a lot of young, smart people. They have really valuable ideas"
Although the search marketing industry is a technical, data-driven environment – everyone at Brainlabs is required to take a coding course when they join – Sophie notes that it’s vital to have a creative mindset. "Creative and out-of-the-box thinking is always helpful in any job," she says. "Being able to pull some insights and fresh ideas out of the data – to be able to see things differently – is very important." To that end, Sophie has been instrumental in creating an AB testing platform, AB Labs, that gives Brainlabs the ability to test its creative search ideas with hard data: assessing the impact of everything from weather, time of day, day of week, location, device and socioeconomic profile on conversions. "It takes all the data and spits out a nice, easy, digestible result for marketers," Sophie says. "We built an incredibly robust and scientifically significant tool that enables very good AB testing of things that are typically very difficult to AB test with the current set-up with Google AdWords and the like." Creativity and collaboration are central to Brainlabs’ approach. "We have a great, collaborative working environment, bouncing ideas off one another and really cracking open problems that seem really tough and coming up with something that’s really out there," Sophie says. "And sometimes an idea seems a bit crazy and wacky at the beginning but actually turns out to give us really great results. "I think because it’s such a new and fast-moving industry, search attracts a lot of young, smart people. They have really valuable ideas and think about things in a very different way. And that means it’s a very challenging environment to be in."